While The Earth Remains | ". . . let God be found true, though every man be found a liar." 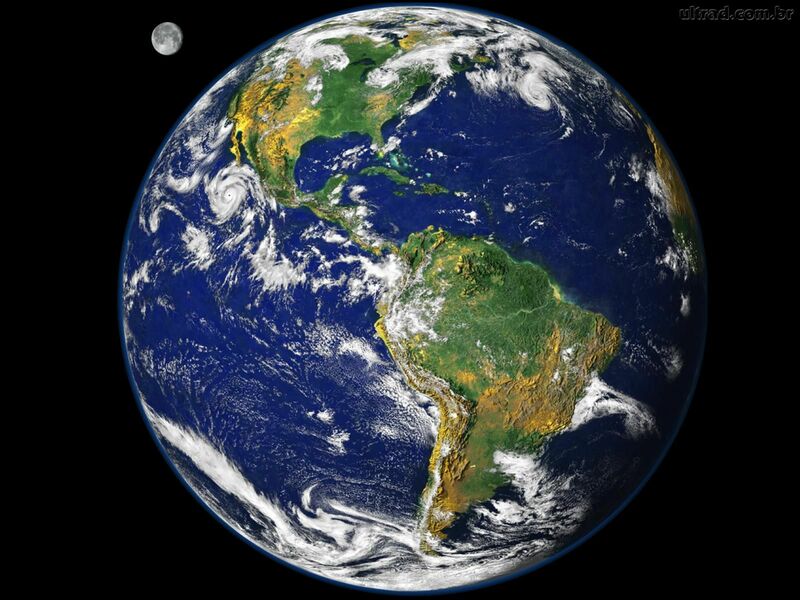 Since 1970 April 22nd has been officially recognized as “Earth Day”. The impetus for this ongoing event was a catastrophic oil spill off the coast of Santa Barbara, CA in 1969. Each year on this date environmentalists gather in nearly 200 nations around the world to draw attention to their concerns. Two factors tend to characterize these events. The first is the implication that the world would be a better place without humans on it. The second is the notable absence of any reference to God. Instead, proponents refer to “Mother Earth” in terms that deify the planet. The stated goal of these events is to save the earth. While no honest person would argue against being responsible in the use of the resources on our planet, the greater danger is in removing the God who created this planet from any consideration in this matter. The scriptures are explicit in their discussion of the purpose of the earth. The origin and purpose of the earth are described in Gen. 1. God systematically created the earth and filled it with everything necessary for mankind to live upon it. In Gen. 1:26-30 the scriptures tell us that God created mankind and commanded them to be fruitful and multiply and fill the earth. He also told them to subdue the earth and to rule over the animals. At that time God gave both man and animals every green plant for food (vs. 29-30). Later, after the flood, He again told mankind to be fruitful and fill the earth (Gen. 8:15-17), and then He gave all the animals to man for food (Gen. 9:1-4). Before He did so, however, God said something about the earth. In Gen. 8:22 He said, “While the earth remains, seedtime and harvest, and cold and heat, and summer and winter, and day and night shall not cease.” The covenant of the rainbow (Gen. 9:8-17) reassured Noah that God would never again destroy the earth with water, as He had just done. This statement reassured him, and us, that the earth will continue to provide for all mankind’s needs so long as God allows it to remain. In other words, mankind cannot exhaust the resources that God has placed on the earth. There will always be enough resources to sustain life until God decides to destroy the earth. Environmentalists are trying to save the earth, as though it will last forever and there is nothing beyond life on this planet. The scriptures, however, are clear that the earth is not intended to last forever. In 2 Pet. 3:10-13 Peter said that the elements will be destroyed with intense heat when the day of the Lord arrives. This will not be the result of a man-made nuclear holocaust or some environmental doomsday. Instead, it will be the result of the word of God (2 Pet. 3:7). The destruction of the earth and universe will be the prelude to the final judgment of all mankind. While we should all be responsible in our care of the environment in which we live, our greater concern should be to prepare ourselves for eternal life. When the day of the Lord comes, and with it the destruction of the physical realm, the Son of God will come with His mighty angels in flaming fire to deal out retribution to all who do not know God and who have not obeyed the gospel (2 Th. 1:7-8). At that time the saved will be ushered into the new heavens and new earth to which Peter referred in 2 Pet. 3:13. This is the place to which our Lord has gone, and in which He is preparing dwelling places for the redeemed (Jn. 14:1-3). In the meantime, let us make the most of the abundant resources of our earthly home without being wasteful or irresponsible. Let us also be grateful to God for this beautiful place in which we live, knowing that while it remains the earth will sustain all who live here, just as God planned from before the beginning of time.